Beautifully carved and flowing. Lanyard release lock. Notice the three areas where Weinstock has done his classical carving: blade, bolster, and backspine. Such well done understate adornment. 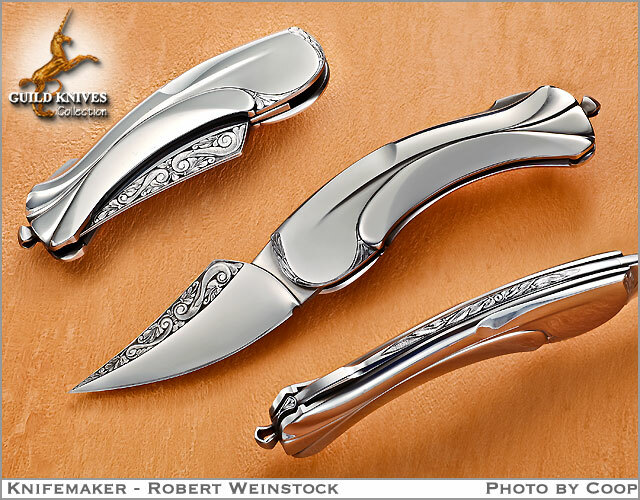 Weinstock crafts knives of very sophisticated design. He is one of only a few Americans invited to show at the Milan Art Knife Show. This is a most pleasing knife, visually, CLOSED (and open).